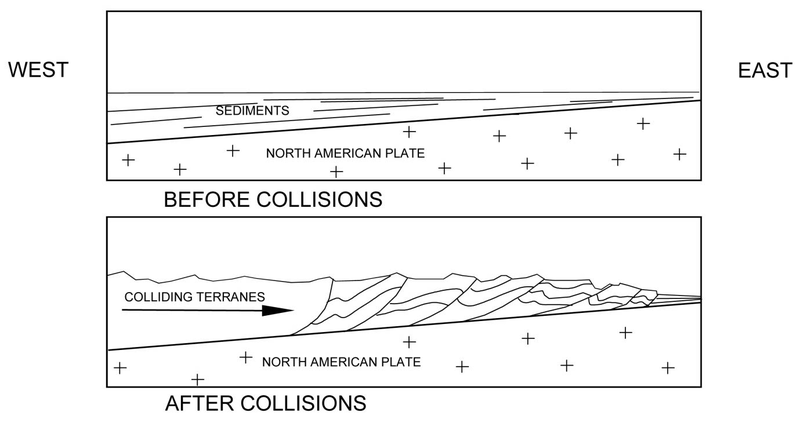 Other land masses (terranes) collided with North America, compressing the accumulated sediments, which folded and faulted them. As the mountains eroded, they shed sediment into a basin in front (to the east) of them. Eventually, these sediments were hardened into rock and were involved in mountain building as well.